With the movie Unplanned in theaters now, many who have been involved in abortion – moms, dads, grandparents, friends, and abortion workers -- will seek healing. One great healing resource you can give to people is www.AbortionForgiveness.com. On that site, one need only enter a zip code and healing resources in that area will display on the screen. This is coordinated through our Silent No More and Rachel’s Vineyard worldwide ministries. Fr. Frank Pavone has been influential in Abby Johnson’s life and he wrote the foreword to her book Unplanned, on which the movie is based. She watched Fr. Frank on Defending Life on EWTN while employed as a Planned Parenthood clinic director. She met with him after leaving the abortion industry because of his role in national pro-life leadership and his work since the mid-1990’s in helping ex-abortionists and clinic workers to find healing through the Society of Centurions. See www.SocietyofCenturions.com. 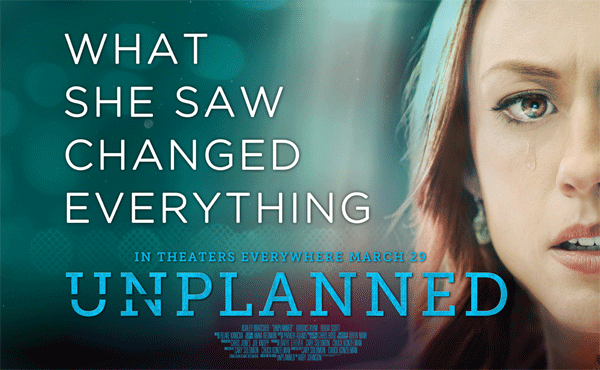 Unplanned will no doubt embolden more people to get involved in the pro-life movement. They can find ways to do that at www.10StepsToEndAbortion.com.